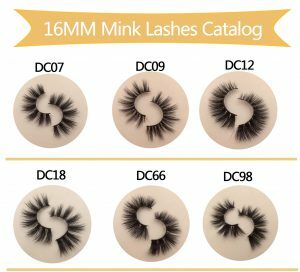 MIIS Lashes is a Great Quanlity Mink Eyelash Vendor and Mink Eyelash Manufacturer Wholesale Mink Lashes From China To USA , Our Eyelash Manufacturer Specialized in Handcraft 3D Mink Lashes, 25mm mink lashes ,16mm mink lashes, 20mm mink lashes , 22mm mink lashes. MIIS Lashes’s Principle is Handmade Mink Eyelash in high-end, healthy, fashionable and wearable lashes for customer worldwide and constantly develop new styles to meet the consumer’s pursuit of beauty.Our designing team and skilled workers always keep our lashes at latest design, high quality and timely delivery. 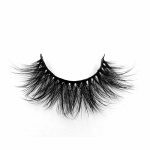 ⊗ Problem 1: Some of our clients have responded that the Mink eyelashes which purchase from previous supplier provide some excellent sample,but when they buy hunderds of eyelashes some annoying problems will appear. Have you meet this problem ? Why ? ⊗ Problem 2: When clients confirm the sample style and orded big quantity , and Supplier production and shipping it to customer,the customer find the sample products are designed differently from the style which is determined before Moreover,the style of eyelashes in this merchadise are different. Have you meet this problem ? Why ? ⊗ Problem 3: Clinets also find the sample products are designed excellent,while the quality of goods which in large quantities is worse,such as lash slip,lash dissymmetry,band hard,lash tip is cut off,not the same direction betweem lash tip and lash follicles,chemical odor and so on.WHY ? Reason :.In an effort to save costs,the use of bad glue and line will bring about lash slip.At the same time,the bad glue also causes eyelash stem very hard,which will stab users’ eyes. ⊗ Problem 4: Date of delivery may be delayed.The agreed delivery date is one month,but actually needs 3 months,which is harmful to clients’ marketing channel.WHY ? However, MIIS Lashes is Completely Different. We cooperate with long-term customers.The quality of our 3D Mink Eyelashes is best.The delivery of our products is reliable.There is no basis for empty words.Please look carefully at the advantages of our company. 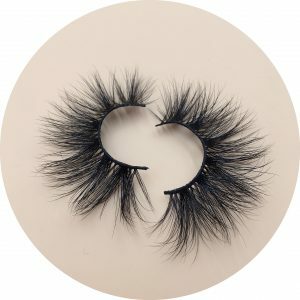 What kind of techniques are used in our 3D Mink Eyelashes ? 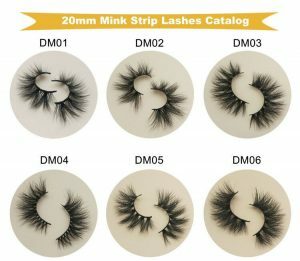 Pure handmade 3D Mink Eyelashes is the only way to make sure quality .Due to the fact the that the diameter mink hair is different,so we can not use semi-automatic machines. We make 3D Mink Eyelashes by hand.One of our workers can only make ten pairs of eyelashses one day.What we want is quality not quantity.We have to be sure that the eyelashes is symmetrical,looks beautiful,the direction between the lash tip and lash follicles is same,and our eyelash hair amount is controlled certain. Which Raw Materials Do We Used In Our 3D Mink Eyelashes ? What Improvements Have Been Made In Our Products? Curl of our 3D Mink Eyelashes is made by the physical treatment and heat treatment .Our 3D Mink Eyelashes does not use any chemical processing,so they don’t have any peculiar smell.This physical treatment is developed through two years of reapeating experiments, the time and temperature are controlled carefully,and eventually achieve the excellent results. The physical 3D shaping technique is our company core competitiveness and we all have environmental ceretificates.We can confidently say that only our company owns this technology in the world by now.Our company spent a lot of money on this technology. What is different is bewtten us and other Suppliers ? Our company put credibility in the first place.From beginning to end,each order sent to the customer are through strict quality audit.We will deliver the goods to the customer without any qiality problems,so that customers are our long-term partners. We don’t set minimum order quantity. Many suppliers on the market set the minimum order quantity for 200 pairs of eyelashes and do a one-time customers with bad quality.The customer give in to the temptation of low price,but after purchasing these products they will receieve a lot of customer complaints about bad quality.Loss customers and loss reputation.As we all know,cosmetics are not ordinary products. Only excellent products can bring real beauty and confident for customer.In order to create a strong brand word of mouth,let customers have a very satisfying experience is indispensable. 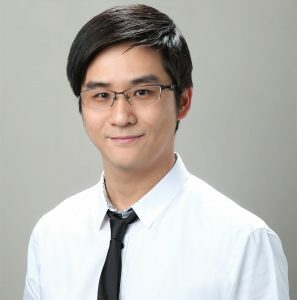 Our company’s 3D Mink Eyelashes designer—OSCAR. The amount of our domestic eyelash designer is no more than two.He is one of them.Every year his new style design products are selling hot. 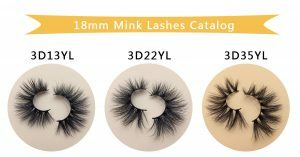 Most of 3D Mink Eyelashes are designed according to the requirements of established-customer.If you become established-customer,you will also enjoy this service.We also find our inspiration in order to create the most sensual of products for customers. These four style Mink eyelashes are designed by our highest design CEO, OSCAR. He designs only four new style Mink eyelashes one year only. You put these four rose series eyelashes on the market, and the trend of eyelashes in Canada and the United States will be dominated by you in the future. If you choose these four products,I’m sure you will dominate the eyelash market in the future,just like LILLY LASHES dominated the market through Maimi.We believe that the future market belongs to these four products. The Softness Of Our Eyelashes. Our products can use many times,Despite others say they can also use for many times,but actually they can only use twice then the lash hair will slip.After using our products for many times,it will not slip lash hair,and will not produce other problems.It can also be washed with water.After washing and kneading,the lash hair will not slip.The lash can still be in three-dimensional after taking a hairdryer and blowing it dry. Our products are the most popular eyelash on the market.Our 3D Mink Eyelashes are designed by the senior designer.There are a lot of imitations on the market .Those imitations have already laost the design philosophy and beauty of this product,which can only be treat as a waste product.A man of good taste will not purchase it. Customers complained with us about the products purchased from other suppliers.The money they earn is not enough for compensation,Later,they find our website through GOOGLE.At the beginning ,they ordered 200 pairs.After one week,they ordered 3000 pairs.And then the next week,they ordered 5000 pairs.Do you think it’s fashionable or not?Do you think it’s selling well or not? We have a numbers of designers and have a professional design team.They study the trend of beauty fashion every day and find inspiration to create the most popular product,which can offer our company a golden advantage in competition.In this way,we can help customers to make more profits.It’s our duty to do this. Our products sale through Europe,America,and many countries around the world.The best-selling is the United States. We have more than 200 workers.We have more than 200 workers.Some popular products have inventory.According to the stocks of certain products you need to delivery.Some common suppliers have no inventory,because they have no confidence in their products.If products with bad quality,remaining stocks will be waste because no one want to buy them.So the factory without inventory is extremely not confident for their own products.This is also one of the method to judge the suppliers is good or not.Of course,if you want to choose excellent supplier,click here. Our company design eyelashes by customer requirement.If you have any idea or inspiration,you can tell us.Due to the fact that we have our own design team,we can design product whatever you want them to be.We are glad to help you ,so that let your quantity of eyelash sale at the top of market,which make us process a golden advantage. How to prove that our eyelash is made of really mink hair? How to prove that our products have good quality? How to prove that our products are popular in the market? What are we advantages over our competitors? Most of our products is sell to aesthetic customers. We want to cooperate with the far-sighted client who holds fashion trend.Our quality and style are our competitive force. 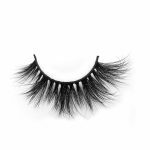 What Can Our 3D Mink Eyelashes Bring To The Eyelash Market? Stable quality improves the satisfaction of customer experience.Launching new style’s products constantly can lead fashion trend.Short delivery date offer customer a stable passenger source,which can meet the needs of customers better.We strive to cancel the after-sales service,because we make an effort to produce the best products ,so that customers can’t choose fault from us.We are the marker and leader in the eyelash market. What Can Our 3D Mink Eyelashes Bring To The User? Our product makes users looks beautiful and has lots of confidence.It can also makes them body health.Then they introduce our products to potential customers and enlarge our brand recognition.Imagine what will happen if you purchase products with low quality? What can our 3D Mink Eyelashes bring to the wholesaler? A steady orders build indispensable products for brand. How Much Is Our 3D Mink Eyelashes? We should know all eyelash products around the world including different price and different manufactuers.Our final price is $5.This price is equal to the medium price in the wholesale market.We just want the customer have more confidence in promoting our high quality product.And we also hope the client can order hunders of our product.Only when our clients succeed can we become successful. Our Brand Slogan: Nature is Real Beauty. Our Business Philosophy: We Keep Trying To Make Customers Satisfied. I am looking for private label lash suppliers,How can I order and do you have any package deals? Hi, my name is Zinyah Mabry and I’m interested in becoming a wholesale customer for your eyelashes. Can you please send me more information on 3D mink lashes and starting my own brand? Please provide me with a wholesale price list of the 3d mink lashes and custom eyelashes packing. 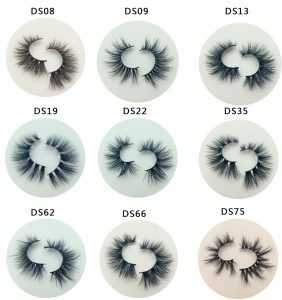 Hi, Iam looking for wholesale mink eyelash vendor. I’m interested in your 3D mink lashes for my business. Do you offer samples? Also do you offer custom eyelash packaging? I’m wanting to start my own lash brand and want to review further into your site as well as your product. Attached is my email and I was wondering if your able to send me a catalog (quotatio/MOQ)) of your 3D Mink lashes . Thank you, hope to hear back from you soon. Hello, I would like to inquire about custom eyelash packaging. I would be interested in wholesale mink lashes about 30 pairs since my business is just starting. I already have a custom logo. Look forward to working with you in the future. Thank you. Hello, I’m starting a lash company and I am looking for Eyelash vendors and customized eyelash packaging. What are your prices? Hello . 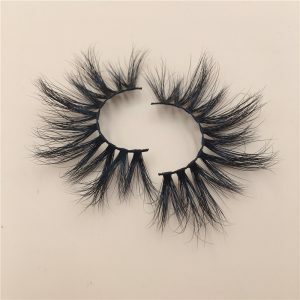 i am starting an eyelash business and would like to know the wholesale mink lashes prices of eyelash packaging and also 3d mink eyelashes, May i have a quote for 100 lashes and Eyelash Packaging boxes ? 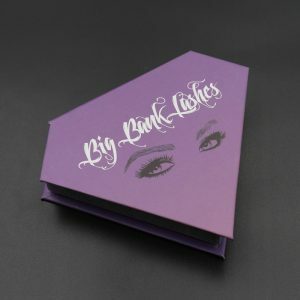 I’m looking to purchase some of your wholesale mink lashes along with some of the other tools & have you guys do the eyelash packaging as well can you explain to me how this process works and how much the lashes cost wholesale and is there a way I can get a sample? Hey there, I am looking to open a luxury mink eyelash business and love the eyelash packaging options you offer. Please get back to me so we can discuss packaging ideas. Thanks. Hello I would like to get a price list on your private label eyelashes. My name is Paige and I am interested selling your 3D mink eyelashes as a private seller. 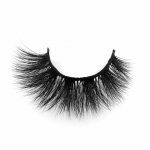 I love your mink eyelashes variety of style and would like to inquire how to work with you. I have a wide range of young females that would love your products! I am a public figure and live on a populated college campus that can benefit from eyelashes sells. I am requesting samples of your lashes so I can determine if I want to work with your company. I am interested in starting my eyelash company with samples of 3D mink eyelashes DL3D62, DL3D22C, and DL3D22. I want to also know how can I get a customize? I want to launch my eyelash company around January 2019. I am looking forward to your response! Hello . i am starting an eyelash business and would like to know the prices of packaging and also 3d mink eyelashes, May i have a quote for 100 lashes and Eyelash Packaging boxes ? Good afternoon , My name is Marielys Cosmetologist eyelash technician and I’m very interested in your product . I’ve came across several businesses but I am very particular in a good quality item . I’m interested in reviewing all the types of lashes you have available , as I would like to choose 50 pairs to start with . Hope to hear from you soon ! Can you send me photos of the different lash styles? I have some enquires about your 3d mink lashes that you manufacture as I want to start my own lash business. If your 3d mink lashes cruelty free? Do you give out samples to try on? Hi can you please send me a catalogue of all the 3d mink lashes styles you have available please.I would like to test your quanltiy and cooperation with you for long time . I am waiting for your feedback . 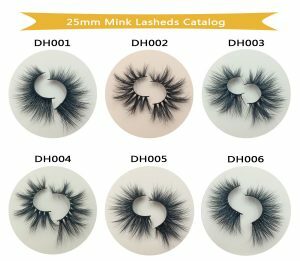 Hi dear How are you We are manufactrer for ilashes instuerments and wholselar and supplaier,I’m interested in purchasing wholesale mink lashes does your company private label? I am interested in 3d mink lashes to sell on website. How can I get a sample of each style of lash you carry? I whold like to get some samples to test your quality . Hello I found your company on Instagram. I would like to know your mink lashes wholesale prices, minimum order and catalog. If all is good I would like to place a sample order. Hi there, I am looking to purchase custom eyelash packaging boxes for my company. Are you able to customize the package size? Thanks! 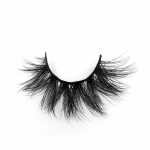 Hi I would like to know do you do 3d mink lashes pirvate label. and more info in prices ?